Fabric very soft, wrinkle resistant and comfortable. Easy to maintain. This kind of fabric has anti-wrinkle properties, retains a flattened shape, even after washing. 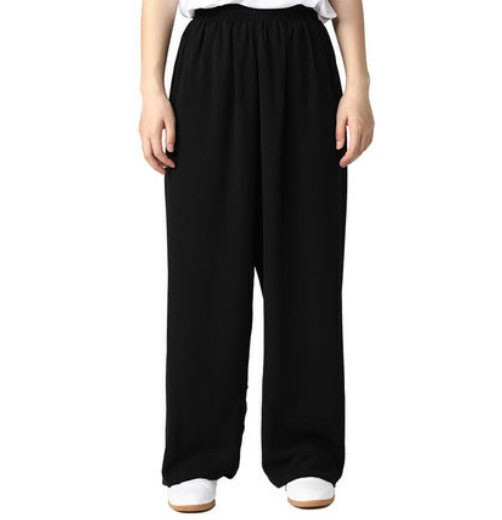 Wide straight cut pants and elastic waist. Color : red, dark red, light yellow, lemon yellow, white, black, blue, sky blue, light blue, light purple, light gray, pink, light pink, watermelon red. If you are not sure about the size, you can leave us your height and weight, we can assist you to choose the size. A good performance pants for the hot weather, the fabric don't stick on the skin even when you sweat a lot. Suitable for the high-intensif training.